life of pi: a story that will make you believe in God? 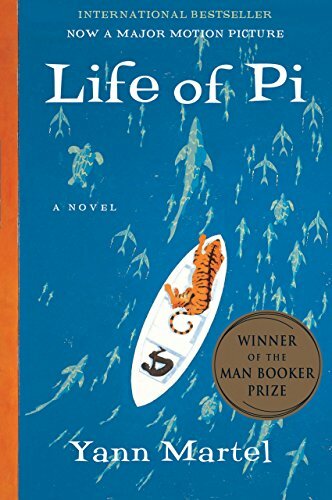 Recently, I asked for blog post ideas from my followers and one of my them asked some interesting questions about Life of Pi. Those questions were so good and so intriguing that I thought I might as well dedicate a whole blog post to answering them. There’s no doubt that Life of Pi is a beautifully written work. But it’s also not without its problems and I’ll address some of them as I answer these questions. Question #1 – Which ‘explanation’ did you think was the truth? So, a little background to the above question. After Pi makes it to the shores of Mexico, he gets asked a bunch of questions by a couple insurance inspectors (because their company had insured the ship that sank). They don’t believe Pi’s tale of all that happened with him and the animals (especially Richard Parker). So, out of frustration, Pi spins another tale where all the animals have been replaced by people on the ship (the ship’s cook is the hyena, Pi’s mom is the orangutan, Pi himself is Richard Parker) and the inspectors believe that story, though they admit that they like the one with the animals better. As I read Pi’s alternate version of events, I didn’t think seriously about the fact that he could have been an unreliable narrator for the last three hundred pages and was only now telling the truth. I suppose that could be the case. But, like the inspectors, I prefer the story with the animals (not least of all because cannibalism is a thing in the other version) and…I believe Pi was a completely reliable and truthful narrator. I believe (as much as you can with fiction) that there really was a tiger called Richard Parker and that he and Pi shared the same uneasy existence together on the lifeboat/raft/floating island. Question #2 – What do you think it said about the existence of God? Secondly, I would say that the god Martel writes about in Life of Pi is not the true God of the Bible. Pi follows three religions – Hinduism, Islam, and Catholicism. According to Pi/the author, each of these religions worships the same God. But how can that be when Hinduism has hundreds (if not thousands) of gods, Islam does not accept the fact that Jesus is the Son of God, and Catholicism believe that Jesus is God’s Son? You can’t reconcile these three religions. Overall, I’d say that Life of Pi gives a muddled, theologically unsound view of God and His attributes. Question #3 – What did you think of it as a whole? Life of Pi is problematic. There’s no doubt about that. There’s a little swearing and some iffy theology and gory parts that make me want to gag (I loathe hyenas now). I’d only recommend it to truly mature readers. But it’s also a powerfully drawn novel that highlights some of the things I love best about books. The writing is phenomenal. Yann Martel writes with a clearness and conciseness and interestingness that gripped me from the very first page. The way he wove the story together and kept building the tension between Pi and Richard Parker…it was masterfully done. The characters! Pi was a great hero, complex and brave and troubled and unique. I also liked Pi’s family and The Author with his little asides and Richard Parker was actually the legit best. Totally a character in his own right. Have I mentioned that the plot was just plain interesting? I think the Great Books can sometimes be a little boring because they’re so literary and the language gets in the way of the story. But Life of Pi has none of that. The writing is wonderful, yes, but the plot is even more so. My favorite part is the floating island. That whole little episode was so clever and intriguing. 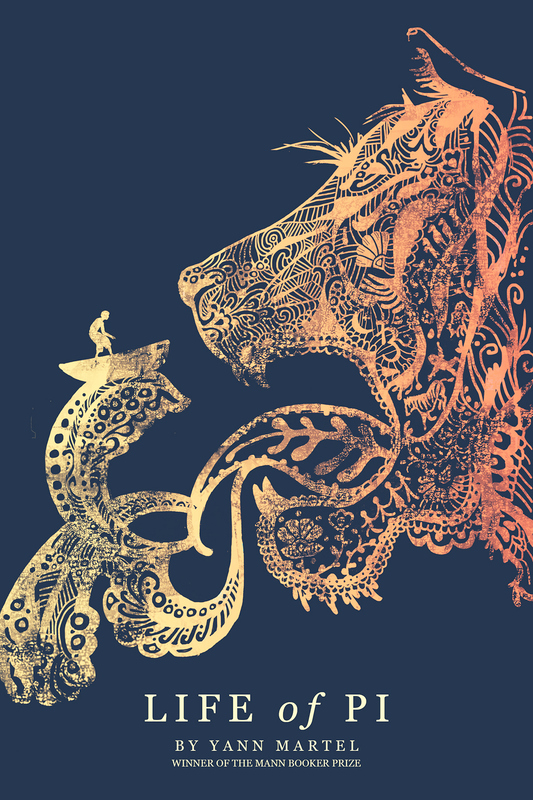 Have you read Life of Pi? What did you think of it? I mean . . . to each his own; but, how can you be Catholic, Muslim, AND Hindu all at the same time? That’s a bit odd. The movie is hardly gory at all, which is great. And it’s not even a man and a tiger, it’s a teenager and a tiger, which makes the story even more interesting, IMO. That’s what I’m saying! It doesn’t make sense. Re: question one and two- It’s interesting that you chose the explanation with the animals- the other person who’s read this thought that the humans were the real story, and I still can’t decide. I read in the discussion questions at the end of the book that two of the chapters near the beginning of the book are like the thesis statement to the story- it was a section that talked about how only atheism, flat out denial that there is anything beyond the visible, or theism, acceptance of extraordinary things, makes sense to believe. Atheism is the story with the humans in the lifeboat, and theism is the story we get with the animals. The book sets you up to WANT to believe the extraordinary story, which I think is what he was getting at when he says the story will make you believe in (a) God. (At least, that’s all how I interpreted that quote and the questions- I could be offbase). The theology was frustrating, though. Although I see the appeal of a ‘nobody’s wrong’ faith, it just doesn’t make sense. Usually when I’m reading (and this is somewhat embarrassing to admit) I’m not looking for deep messages or anything, so I was fine with just reading Life of Pi as an interesting story. Though in the end it did make me think a lot (as you can probably tell). Does the movie tone down the religious inaccuracies? Because I’m not too interested in the book’s problematic portrayal of Hinduism, Islam and Catholicism despite the fact that it’s well-written. I’d rather get my theology from church, apologetics material and of course, reading the bible.